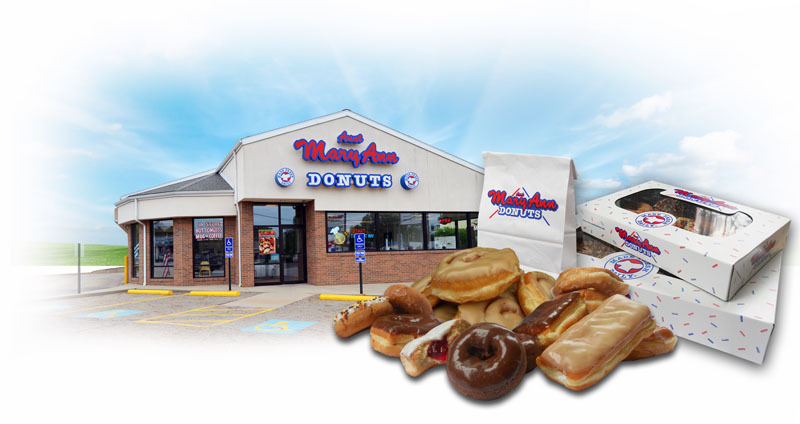 MaryAnn Donuts Cafe For Breakfast, Lunch, or Dinner! Interested in an exciting business venture with one of the finest companies in the area? Hot or Cold, Have a Delicious Beverage! 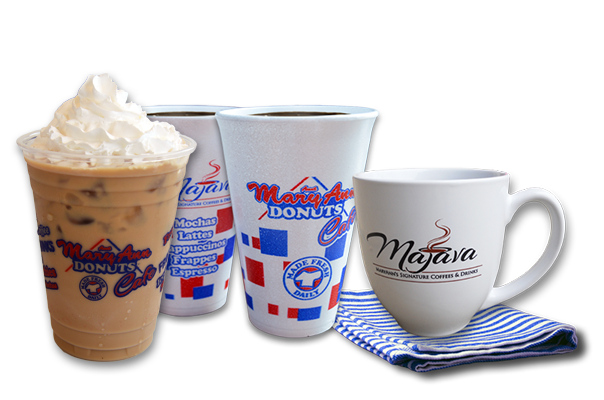 Stop in an enjoy our fresh brewed hot and cold beverages. We have coffees, cappuccinos, mochas, frappuccinos, smoothies and more. Hot or cold, we have a delicious drink to satisfy. Enjoy an Italian coffee drink that is traditionally prepared with double espresso, hot milk, and steamed milk foam. Mmmmm! Try our delicious hand-selected blend of MaryAnn’s finest beans, creating an amazing way to start your day! Enjoy a cool, refreshing MaryAnn’s Iced Coffee drink that will pick you up and put a smile on your face. Try a delicious MaryAnn’s Latte, a rich combination of espresso and stramed milk, hot, tasty and ready everyday. Save On MaryAnn’s Gift Cards! Check out our gift card special currently going on, we have a promotion this month. Take advantage today! 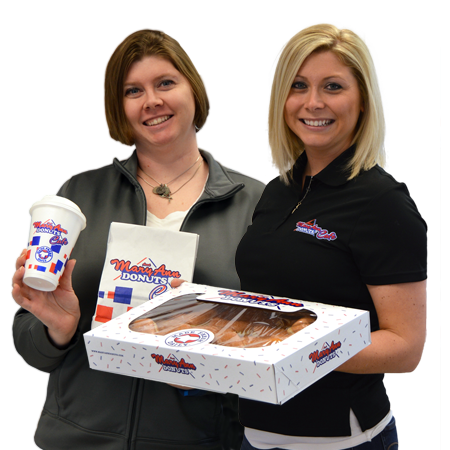 "I have been eating MaryAnn Donuts ever since I was a little kid. The cream sticks bring back memories every time I eat one. I love your donuts!" 4222 Hills & Dales Rd. N.W.